Vitamin D deficiency is associated with an increased risk of developing bladder cancer, according to a systematic review of seven studies presented today at the Society for Endocrinology annual conference in Brighton. Though further clinical studies are needed to confirm the findings, the study adds to a growing body of evidence on the importance of maintaining adequate vitamin D levels. Vitamin D, which is produced by the body through exposure to sunshine, helps the body control calcium and phosphate levels. Vitamin D can also be obtained from food sources such as fatty fish and egg yolks. 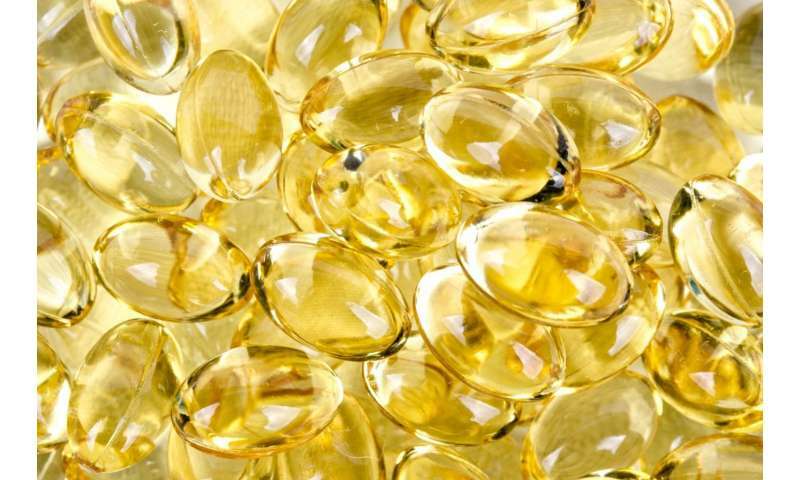 Previous studies have linked vitamin D deficiency with a host of health problems including cardiovascular disease, cognitive impairment, autoimmune conditions, and cancer. In countries with low levels of sunlight, it is difficult to obtain enough vitamin D from food alone. In the UK, 1 in 5 adults are vitamin D deficient and 3 in 5 have low levels. This is especially prevalent in people with darker skin: in winter, 75% of dark-skinned people in the UK are vitamin D deficient. In this work, researchers from the University of Warwick and University Hospital Coventry and Warwickshire, Coventry and the investigated the link between vitamin D and bladder cancer risk. They reviewed seven studies on the topic which ranged from having 112 to 1125 participants each. Five out of the seven studies linked low vitamin D levels to an increased risk of bladder cancer. In a separate experiment, the researchers then looked at the cells that line the bladder, known as transitional epithelial cells, and found that these cells are able to activate and respond to vitamin D, which in turn can stimulate an immune response. According to lead author of the study Dr Rosemary Bland, this is important because the immune system may have a role in cancer prevention by identifying abnormal cells before they develop into cancer. "More clinical studies are required to test this association, but our work suggests that low levels of vitamin D in the blood may prevent the cells within the bladder from stimulating an adequate response to abnormal cells," said Dr Bland. "As vitamin D is cheap and safe, its potential use in cancer prevention is exciting and could potentially impact on the lives of many people."